Do you have a coffee drinker in your life? Check out these great gift ideas! Gifts range from under $25 to $100. 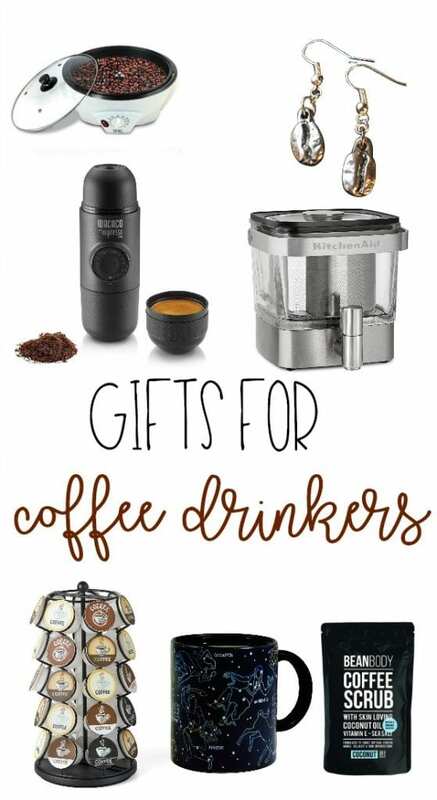 You are sure to find the perfect gift for your coffee drinker! It’s no surprise that I am a huge coffee fan. It all started when I got my first real job after college. I was thrust into the world of corporate America and that world started way too early for this girl. I survived on company provided coffee and snarky humor with my co-workers. Then I had kids and coffee kept me sane. As much as I loved Starbucks, we were pretty broke our first few years of marriage. I started creating copycat coffee drinks and sharing them here on my site and the rest is history. Do you have a coffee lover in your life too? I’ve rounded up some pretty unique gifts for coffee drinkers. They range from under $25 to $100 so you are sure to find something for that special coffee drinking someone. Rosa Vila Caffeine Molecule Necklace– I just love this little caffeine molecule necklace! What a great way to show your love of coffee. Milk Frother – I love my little milk frother! It’s perfect for making a vanilla latte at home. I got mine at Target but this one is almost identical. Coffee Joulies – These coffee stones would be perfect in a glass of iced cinnamon dolce latte! Bonus – these are great in other beverages too. All Natural Coffee Scrub – I love coffee scrubs and this one looks awesome! Want to try a DIY version? Check out hazelnut coffee lip scrub. K Cup Carousel – If you are a Keurig user then this carousel is a must! It fits perfectly on the counter and you can see all your different K-cups. Reusable K Cup Filters – These reuseable filters are also a must have for any Keurig owner. Heat Sensitive Constellation Mug – I love heat sensitive mugs that change when you pour hot coffee in them. This one is of the constellations. Coffee Bean Earrings – Another fun way to show your love of coffee! Cup of Coffee Necklace – How cute is this little necklace? Coffee Bean Plant – Of course you need a coffee bean plant in your life! Aeropress Coffee and Espresso Maker – A compact coffee maker that promises to reduce bitterness in coffee. Coffee Bean Grinder – We just have a basic bean grinder, but I would love to upgrade to this bigger one! French Press Coffee Maker – I love the taste of coffee fresh from the French press. Coffee Pour Over Kit – This is on my Christmas list too. Coffee Syrup Gift Pack – If you love making copycat coffee drinks at home then this Torani syrup gift pack is a MUST! It comes in a variety of flavors and makes making your own drinks super easy. Mini Portable Espresso Machine – This portable espresso machine is going on my Christmas list for sure! K Cup Variety Sampler – If you are looking for a good gift for a new Keurig owner, this is it! Let them pick their favorite coffee from the sampler pack. Coffee Tins with Lids – A great way to store your coffee, sugar and tea! Automatic Coffee Bean Roaster – I have been thinking of roasting my own bean since I talked with an old high school friend. He said it was really inexpensive and the taste was phenomenal! Ninja Coffee Bar – I have heard so many good things about the Ninja’s coffee bar. It has 5 brew options, a built in milk frother and a glass carafe so you can have a pot of coffee ready in the morning! Whisky Barrel Aged Coffee Sampler – These just sound amazing! 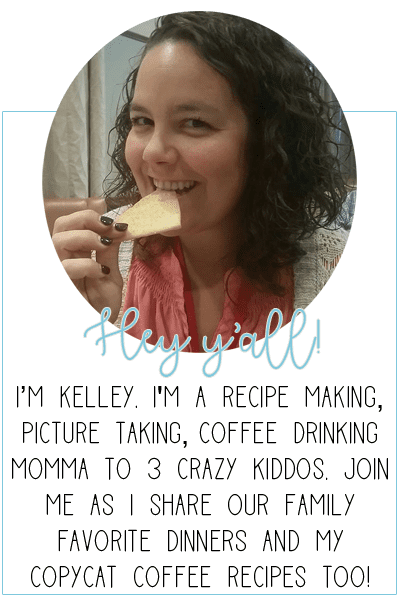 Keurig Classic – My parents have a Keurig and they love it! I love going over to their house and trying out all their new pods of coffee! Cold Brew Coffee Maker – This cold brew coffee maker from KitchenAid is pretty neat. If you are nervous about making your own cold brew at home, try this little machine!